e are very excited to host your team this summer at Ballparks of America for a great week of baseball and memorable family experiences. This page features all the information, forms, and links needed to assist you in preparing for the tournament. Our General Manager, Todd Yancey, and his team are available to assist you with any questions or issues that you might have. They can be reached at 417-986-3395 or info@ballparksofamerica.com. We look forward to hosting your team for a week of Baseball, Friends and Family! The Branson Tourism Center (BTC) is your vacation planning partner. Whether you are looking to book tickets for shows, rent a boat to cruise Table Rock Lake on a day off from games, or just have questions about all the activities that Branson has to offer, the staff at the BTC can help you plan your trip. Visit the portal and choose the SHOWS or ATTRACTION tabs. Their staff is available to answer any vacations questions you might have. Call them at (800) 785-1550 and reference the Ballparks booking code HITTER to secure the best deal possible. Tournament schedules and scores will be posted and updated via Tourney Machine. Schedules will be posted approximately one week before the tournament. You can search for the tournament on the Tourney Machine website (by location or tournament name), or download the Tourney Machine mobile app for real-time notification of schedule changes and tournament announcements. Schedules are subject to change due to weather, so please check the app or website daily during the tournament. IMPORTANT: Tournament Prep Kit for 2019 will be ready soon. Check back here to download. Registered teams will also receive an email link. We prefer to use ONLINE FORM and ONLINE AGREEMENT options below. However, If you are using an older browser, you may access the PRINT FORM and PRINT AGREEMENT options, which must be presented when you arrive at your tournament. As a coach of a youth sport, you have tremendous influence to shape the overall experience for your athletes. It is our expectation that you do so in a positive manner. All coaches and scorekeepers must fill out this online form before they will be allowed on the field during games. Please fill out this online form BEFORE your tournament begins. The online Waiver Release form must be completed by all parents/guardians of players before teams are allowed to check-in. Please make sure a parent or guardian for each player fills out this online form BEFORE your tournament begins. Each team is required to carry its own general liability insurance with minimum coverage of $2,000,000. If the general liability policy does not cover participant injury, minimum accident medical insurance of $50,000 must also be provided. It’s likely your team already has this coverage in place. birth certificate, a valid passport, or state ID card. Players who do not complete age verification process will not be allowed to participate in any tournaments. Ballparks of America wants to showcase your team on our website. 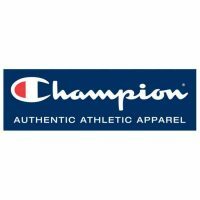 Coaches are invited to submit their team logo, name, and other details using this form. We will display this information on our website and social media channels. Capture the memories of this tournament vacation forever with our professional team photography package. What age groups will be able to play at Ballparks of America? 9U -13U youth travel baseball teams. What supplies do the players need when they are staying in the Team Suites? Players and coaches must provide their own linens for an XL twin bed or a sleeping bag. Pillows and towels must also be provided. We encourage teams to bring a gaming console (including HDMI cables) for the provided HDTV. How many games is my team guaranteed in your weeklong tournaments? 7 games total (6 pool play games and a minimum of one single-elimination tournament game). When can my team check-in to our team suite? Teams may check into their team suite starting at 5:00 PM on Friday of their tournament week. Where can I find my teams tournament schedule and results? Schedules and scores will be posted and updated via Tourney Machine. 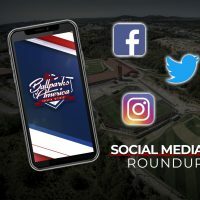 You can search for the tournament on the website, or download the mobile app for real-time notification of schedule changes and tournament announcements. Schedules are subject to change due to weather, so please check the app daily during the tournament. When will the game results be posted? How will I know which seed my team is prior to single-elimination tournament play? All information regarding results, standings and seeding will be pushed out to all participants through Tourney Machine. Do I have to provide an umpire for the week? No. 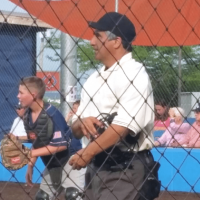 Ballparks of America provides all tournament umpires. There is no additional fee to your team for this. All age groups will have two umpires for each pool play game. Semi-finals and tournament championship games may have up to 4 umpires. Do we need to bring baseballs? Our first priority is the safety of everyone at the facility. If the fields are judged unsafe, we will suspend, postpone, reschedule or cancel games as needed. There are numerous factors in deciding when games are allowed to continue, and we weigh each of those carefully before making a decision. – Our first priority will always be to make sure each team plays its minimum number of games. – We will attempt to have a championship game. – We will never name a champion of a tournament without a championship game. – We may eliminate the quarter-final or semi-final round to ensure a championship game. 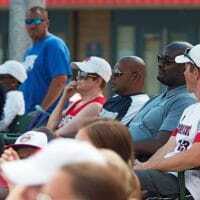 Coaches will be provided with Ballparks of America shirts, but they are not required to wear them. Coaches are expected to dress appropriately. Do I receive any discounts or free access to any of the attractions? Every player and coach will receive a packet of coupons for discounts at area attractions. Is there pin trading among teams? Yes, there is pin trading among teams. Teams are encouraged to come ready to trade by bringing their own pins or ordering them in advance from a third party recommended by Ballparks of America. Do we need to bring water for the dugouts? Water will be available in each dugout. Teams are welcome to bring coolers of non-alcoholic beverages into the dugouts. Ice is available for purchase in the gift shop. Drinking fountains are available in the team suites. All tournaments are based on the standard April 30 age determination date. For example, all players in a 12U division must be no older than age 12 on April 30 of the year of the tournament. For 13U Division, players who turn 14 before May 1 are eligible if they are in 7th grade. Yes, Ballparks of America must verify the age of every player prior to the beginning of the tournament. Parent or guardian must provide acceptable proof of age for each player that participates in a tournament. Acceptable forms of verification include an official certified copy of the players birth certificate, a valid passport, or state ID card. We prefer to use the ONLINE FORM option below. However, If you are using an older browser, you may access the PRINT FORM option, which must be presented along with supporting documents when you arrive at your tournament. Do the Birth Certificates need to be originals or copies? What size bats are legal for our age group? There are no restrictions except that each bat must have BPF 1.15 stamped on the bat. 13U tournaments are wood-bat-only. What rules will govern the tournaments? Yes. We must treat each game fairly. Early games may end due to the time limit so that later games can be played on time. It would be unfair to allow the last game of the day to play beyond the time limit, when earlier games are restricted by time. What is the maximum number of players we can have on a roster? The player roster will be limited to 15 players, with 3 coaches and a scorekeeper allowed access to the dugout. Coaches receive an online team roster form upon registration. Please complete this form immediately. “Pool play games can end in a tie. A tie game in pool play equals 1/2 of a win and 1/2 of a loss for both teams toward their overall record and/or winning percentage. Therefore, a team that is 2-0-1 would have a winning percentage of .833 and a team that is 2-1-0 would have a winning percentage of .667. In other words, the 2-0-1 record is better than the 2-1-0 record. Games can end in a tie during pool (divisional) play only. A Tie Breaker system will be used if a tie exists between two or more teams either for advancement to the elimination round or for seeding purposes. A game featuring teams that are the same seed from different divisions will use a coin flip to determine home team. Please note that Total Runs Scored has no value in our tie-breaker system. This is done to discourage teams from running up the score on their opponent. How will you accommodate the girls on my team? My player has a food allergy. How do I inform your meal staff? Food allergy information is collected when team roster information is submitted. All coaches must submit their team roster of coaches, parents, and players prior to the tournament. Coaches are sent a link to the team roster online form upon registration. In addition, coaches or parents may also inform the Ballparks of America Operations team at 417-986-3395 or catering@ballparksofamerica.com in advance of your arrival and we will do our best to accommodate the allergy. Are all of the dugouts covered? Yes, all of the fields at Ballparks of America feature covered dugouts. Teams may bring portable tents to cover additional open fan areas if they wish. How do you keep my team safe and secure? Ballparks of America is staffed 24 hours to ensure the safety of our guests. Additionally, team suites have key card access at two separate points of entry. Coaches chaperone their teams, bunking in semi-private areas of each team suite for added security. What is the typical schedule like for a week-long tournament? Are tournament t-shirts and other Ballparks of America items available for purchase? Yes. We will have merchandise available at our gift shop throughout the tournament. Is there handicapped accessible parking available? Yes, there is plenty of handicapped accessible parking. Yes, parking is ample and always free. Yes. We have concession stands at Ballparks of America. Concession stand hours will vary depending on the daily game start times and the last game of the day. Are families allowed to bring food and coolers into the Ballparks of America Campus? No outside coolers are allowed except a team cooler. Please make sure all trash is disposed of properly. Currently, alcohol is not allowed on the campus. Is there an admission charge for spectators? Admission is free for all of the Ballparks of America week long baseball tournaments. Please note that weekend tournaments and special events operated by our partners may feature admission fees. Is there a place to sit at each stadium for parents and fans? Each field at Ballparks of America features some stadium seating. There are also picnic tables at some fields, but we encourage parents to bring portable chairs or blankets to sit on. Portable tents are also allowed and encouraged for shade. Will there be any religious services on Sunday? Ballparks of America will respect all players’ desire to attend religious services on Sunday by not scheduling any games until at least 11:00 a.m. There are a number of local churches available for religious observance, and chapel services may be available on the Ballparks campus during certain weeks. Can we bring pets to the tournament? Only service animals are allowed on the Ballparks of America campus. Out of respect for those with allergies, and to keep our facilities in top condition, we unfortunately have a no-pets policy. What is the weather like in Branson in July? The average daily high temperature in Branson in July is a pleasant 89 degrees. The average low is 67 degrees. Average rainfall is 3.4 inches. How do the families book lodging? Do we get a discount? How can I see the latest news on Ballparks of America? With the availability of private bathrooms and showers, girls are allowed to stay with their teams if they prefer. Otherwise, girls can stay in a separate girls’ suite with girls from other teams and a female chaperone provided by Ballparks of America. Please contact us at (847) 920-8511 or info@ballparksofamerica.com for arrangements. Food allergy information is collected when team roster information is submitted. All coaches must submit their team roster of coaches, parents, and players prior to the tournament. Coaches are sent a link to the team roster online form upon registration. In addition, coaches or parents may also inform the Ballparks of America Operations team at (417) 986-3395 or catering@ballparksofamerica.com in advance of your arrival and we will do our best to accommodate the allergy. Ballparks of America staff will notify coaches of any changes. “Our first priority is the safety of everyone at the facility. If the fields are judged unsafe, we will suspend, postpone, reschedule or cancel games as needed. There are numerous factors in deciding when games are allowed to continue, and we weigh each of those carefully before making a decision. Water will be available in each dugout. Teams are welcome to bring coolers of food and non-alcoholic beverages into the dugouts. Ice is available for purchase in the gift shop. Drinking fountains are available in the team suites. Admission is free for all of the Ballparks of America weeklong baseball tournaments. Please note that weekend tournaments and special events operated by our partners may feature admission fees.